Spread betting on the world’s indices is becoming more and more popular. Spread betting on indices allows you to take a view on the direction of the market as a whole rather than trade on a particular stock or share thus doing without any share specific risk which can be substantial when dealing in individual shares. For instance, even if you deal FTSE 100 shares, the price of a stock could fall sharply due to various factors. In the case of Tesco PLC, the stock price has been under pressure due to an unfavourable trading update last February and taking an index position would avoid this company specific risk. In addition unlike shares trading, spread traders can make profits whether an index rises or falls in value. 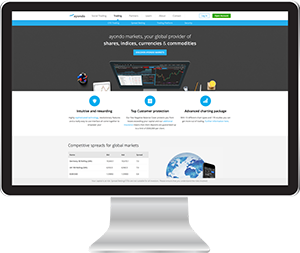 Most spread betting providers offer you a vast range of global indices to spread bet on including UK 100, Wall Street, Germany 30 and US SPX 500. Many of the bets on indices are quoted 24 hours a day. This means you can react to global stock market news and gain exposure even when the underlying market is closed. Traders who normally trade European indices during the day can open positions in Asia or the USA after the UK stock market has closed. Having said it is important to note that trading indices or foreign exchange is not for the faint of heart and is not suitable for all investors. The FTSE 100 Index is comprised of UK’s 100 most capitalised blue chip companies, which equate for around 85% of the UK market. The success of the FTSE 100 is seen as an indication as to the overall performance of the UK’s economy. Spread betting companies will usually offer a smaller spread on companies that form the FTSE 100 as they are considered less volatile (less likely to go bust) than smaller companies such as those found in the FTSE 350 index. The Dow Jones Industrial Average (or Dow 30) is a US listed index, which takes 30 large, publicly owned companies which span different sectors, giving an overall snapshot of how the US market is performing. Companies in the Dow Jones include IBM, McDonalds, Wal-Mart, Boeing, and Walt Disney. Second to the Dow Jones, the S&P 500 is the most followed index consisting of large, publicly traded US companies. Started in 1957, the S&P 500 is an amalgamation of US companies that are listed in both the New York Stock Exchange and the NASDAQ. Previously the S&P 500 was a market value weighted index, but is now a free-float capitalisation weighted index. The Hand Send index is Hong Kongs largest index, and is an overall indictor as to the general performance of Hong Kongs economy. Started in 1969, the Hang Seng currently consists of 45 companies and is one of the most traded Asian indices. The Hang Seng Index is a free float-adjusted market capitalisation weighted index. Listed on the Tokyo Stock Exchange (TSE), the Nikkei 225 is the most quoted index of all the Japanese indices. Calculated daily by the Nihon Keizai Shimbun newspaper, it is a price-weighted average of over 1,700 stocks. Most notably, the Nikkei rose to an all time high of 38,957.44 at the peak of the Japanese asset price bubble in late ‘89, when shortly after there was a spectacular crash which saw huge losses as the bubble burst. Today it trades at just over a quarter of it’s ’89 price. When referring to indices (an index), we refer to a collection of stocks that form a portion of the market. Depending on which index you choose, the criteria for which constituents form the index, and how the overall index is weighted will vary. The idea behind an index is to help better understand how certain markets are behaving economically. For instance, the FTSE 100 takes the UKs 100 largest companies and provides an insight into how they are performing collectively. If you were to take just one of those companies and see that its shares had fallen by 5%, this would not really give you an overall picture of the wider market, which is where the index comes into play. Many indices such as the FTSE 100 are seen as a good indication as to the overall health of an economy or sector, in this case, that of the UK economy. Many first time spread bettors think that betting on indices such as the Dow or FTSE will be easy pickings. This isn’t to say spread betting on Indices should be avoided, but without any pre-planning and homework it will be nothing more than gambling. In practice here you are speculating on whether an index level will rise (go long) or fall (go short). If the market moves in the direction you anticipated, you make a profit in relation to the price differential; otherwise if the market moves against your position you incur a loss. Main market indices can easily move 100-200 points in a day, and while it may seem like easy money, a market heading in the opposite direction to your spread bet can be dangerous. The Dow Jones has had a few 700+ point moves in its history, with a 936.42 point move in one day back in 2008. A £5 bet in the wrong direction without a stop loss on this day could easily have turned an innocent looking bet into a £4,682 loss (ouch!). 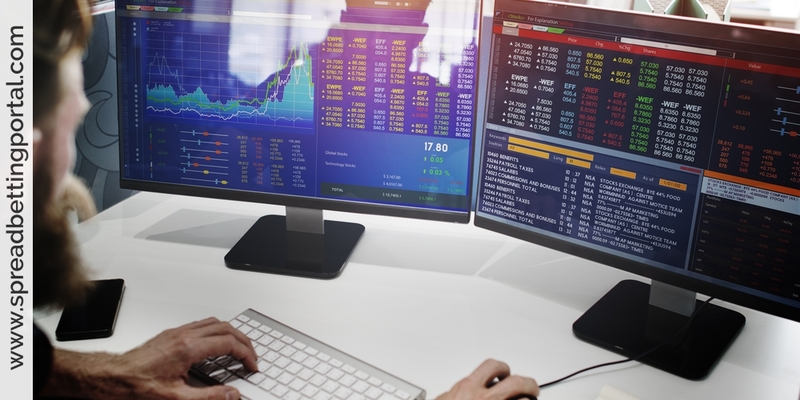 When looking to buy an index, sector mutual fund or exchange traded fund it is important to know how the index is computed. Is it market-cap weighted, equal weighted, or some other criteria. The out performance of an equal-weighted index is simply a reflection of what’s been going on in the stock market over the past few years. Large-cap stocks can take a beating during a bear market. More exposure to small- and mid-caps in an equal-weighted index can soften the negative impact of large-caps. There are three common systems for determining a stock’s weight in an index: market-capitalization weighting, price weighting, and equal weighting. The names are fairly self-explanatory. Most indexes used by investors today, including the S&P 500 are market-capitalization weighted. A company’s weight in an index is determined by its total market capitalization, or the share price multiplied by total shares outstanding. Therefore, the returns of large-cap stocks in the index play a much greater role in determining index performance than small- and mid-caps. When large-caps are in the market’s sweet spot, their dominance is even more overwhelming. In price-weighted indexes like the Dow Jones Industrial Average (DJIA), a stock’s weight is determined by share price only. Although the DJIA has a long history and is still highly visible, most investors believe price-weighted indexes don’t make great investments. For example, a company with expensive shares and a small market cap can greatly influence index returns. In equal-weighted indexes, all stocks receive the same weighting regardless of their size or share price. and to some private investors who think they can see a big market move coming but do not want to disturb their underlying share portfolio. Be warned that I don’t know too many private traders who make a living out of indices although obviously can be done. Don’t know quite why but what is the edge? Daily closing levels for the FTSE100 index and Dow Jones Industrial Average and other international indices. Futures for the FTSE100 index and Dow Jones and other international indices, expiring around the middle of each month. Daily closing levels for futures in the FTSE100, Dow Jones and S&P index and major European indices. Monthly futures for many other indices, including the S&P500 Composite, the NASDAQ 100, the French CAC40, the German Dax, the Japanese Nikkei 225 and the Hang Seng index in Hong Kong. The points differential between certain indices at a particular futures expiry date. 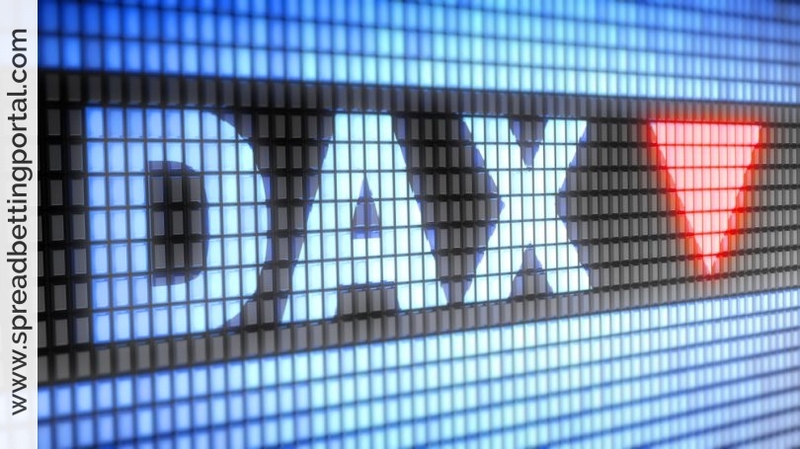 Examples are the differential between the Dow and the FTSE, and between the FTSE and the Dax. A single stock’s price movement intraday can be fairly random. An Index that consists of a total summation of 100 Stocks movement is going to be even more random!!! Tom Technician sees a change of trend taking shape on his charts. The FTSE100 index reached a record high of 7510 a month ago and has just failed to break through this level for a second time. His system shows that a new 40 day low has taken place. Tom’s spread betting company is offering a spread of 7445-7457 on the September FTSE. Tom backs his system and makes a £30-a-point down-bet on the FTSE 100 index. For safety, he arranges a guaranteed stop at 7942, to limit his potential losses to £15,000. His break-even level for the September FTSE is 7442, the bottom of the spread minus three points given up in return for the guaranteed stop. Some 10 days later and a big fall overnight on Wall Street sends the FTSE spiraling down 250 points. The spread betting company’s spread for the September FTSE now stands at 7190-7202. Tom decides to hang on a bit longer for a bigger fall, even though he is now £7200 in profit (7442 minus 7202, times £30). Two days later, the FTSE 100 index shows signs of stabilising, and the September spread moves back up to 7247-7259. Tom’s trailing stop loss is hit and he decides to take his profits before the rebound in the index goes any further. His profits are £5490 (7442 minus 7259, times £30). All licensed spread betting companies offer comprehensive guides describing the important aspects of each particular market. Most spread betting firms take bets on the main indices 24 hours a day, with prices changing through the night. You should not be betting on the FTSE with a spread greater than 1 point. Out of FTSE trading hours this spread will widen to between 5-6 points, depending on spread betting firm. Over night, spread betting firms will make their price based on the movement of other markets. Fundamental to any spread bet, it’s imperative you get the best (tightest) spread for your bet. No decent spread betting firm should be charging more than 1 point for the FTSE during the day, or 2 points for Wall St. / Dow. Overnight spreads will be larger, but the FTSE should not be more than 5-6 points overnight. Beginners often look at charts and think because it’s reaching a previous price point that it’ll swing in the opposite direction. If you do decide to go against the trend, do so with an educated reason. Don’t try to second-guess, you will loose a lot of money this way. Always have a plan for your bet. Know why you are going in to the bet for the price you are, but more importantly be sure to set a stop at which point you exit your bet, and which point you take a profit. Stick to the plan. If you went into your bet with good reason and judgment, stick to the plan. It’s easy to loose your nerve and bail out of a bet early, but if you set up your stop loss and limit order, stick to it. The index will be guided by these companies. The larger the company, the more a change to it’s individual share price will effect the overall index. The share price can change on results day. Be aware however that even on good results the share price may well drop as smart traders look to make a profit on the back of amateur investors buying on the good news. They’ll likely buy back once the share price settles back down to a lower figure than what they sold for. It’s more than likely the expected results were known ahead of time. Buy the rumour, sell the fact. Most sites offer a range of tools for automating tasks that allow you to automate the opening of positions, as well as closing them too, whether this is to take your profit (limit order), or to exit a bad bet (stop order or guaranteed stop). With your trade plan in place, you can setup your bets to be executed according to your pre-planned strategy; helping to take away some of the emotion that can cloud your judgment when watching live prices fluctuate up and down.